Observation - Moth - UK and Ireland. 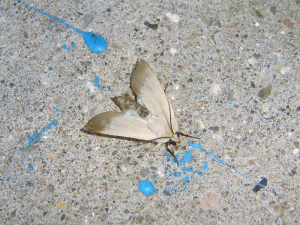 Description: Found this moth stuck in a puddle so put it onto concrete to dry off. It vibrated it's wings for a couple of minutes until dry then flew off. Approx 25mm long. Found this moth stuck in a puddle so put it onto concrete to dry off. It vibrated it's wings for a couple of minutes until dry then flew off. Approx 25mm long.